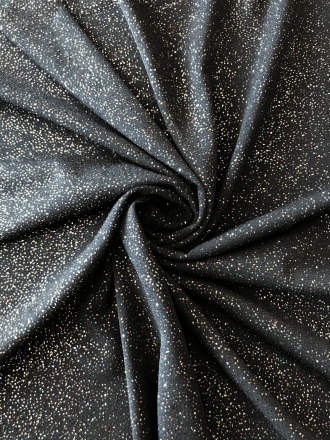 Soft touch lycra is one of our best-sellers! 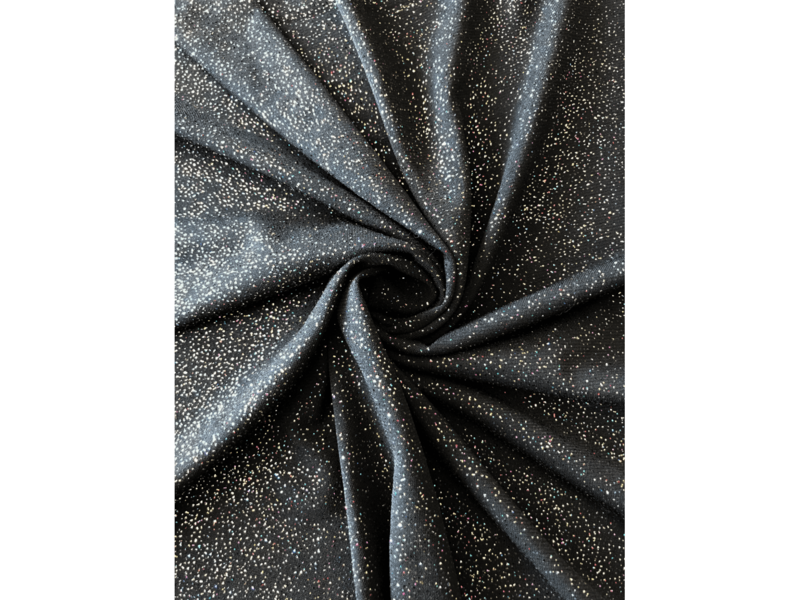 An ideal fabric for those figure-hugging, "Kim K" dresses because of its great stretch and beautiful drape. 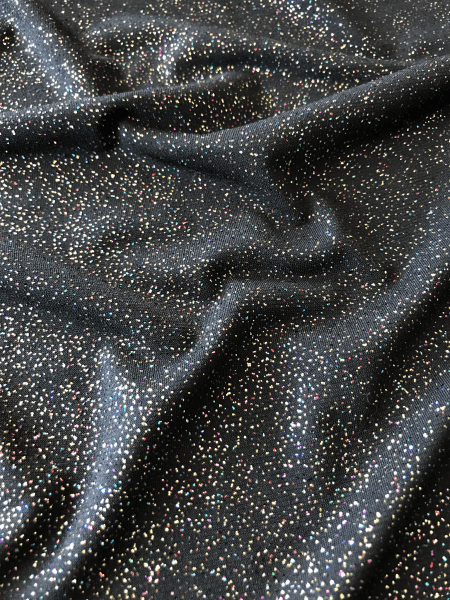 This particular soft touch material has a stunning glittery print, which makes it perfect for showstopping party outfits! Sold by the metre.